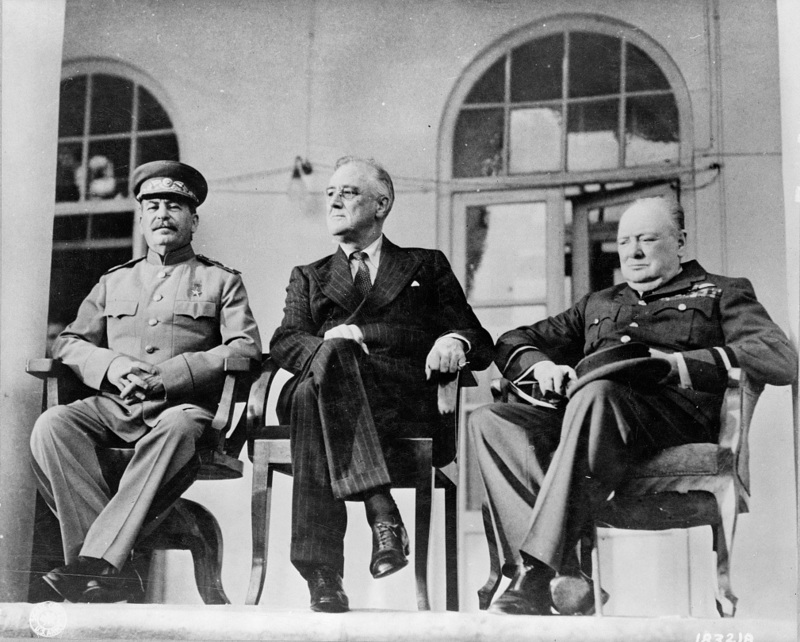 Roosevelt, Stalin, and Churchill on portico of Russian Embassy in Teheran. November 28-December 1, 1943. U.S. Signal Corps Photo.